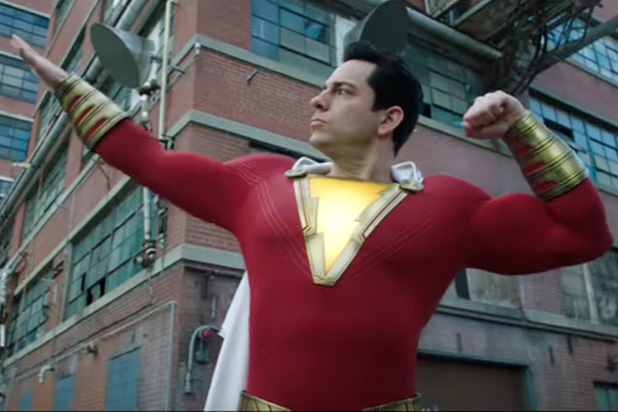 DC/Warner Brothers has done a shift towards more light-hearted entertainment and they went to the kid/superhero Shazaam with their latest release. It’s a pretty big shift, one that began (arguably) with Wonder Woman and continued with Aquaman. Overall, it’s a shift I appreciate because, well, I’ll admit I detested their grimdark approach from before. So how does it work? Well… it’s complicated. On the one hand, the actors involved do a fantastic job. Zach Levi totally sells his role as the titular superhero/kid. The kid actors, too, do fantastic jobs. Same for everyone else, they play their roles brilliantly and some of the side characters are positively awesome, feeling far more real than anything else and therefore reinforcing the suspension of disbelief. On the other hand… holy crap is the opening dark. I was actually getting pretty uncomfortable with it and starting to wonder if I’d been sold a humorous superhero movie cover on another grimdark Zach Snyder flick. It got better, but given the tone and theme of the rest of the movie, they could have cut that whole section out or done it as a flashback. The villain, too, is a dark, vengeful type totally at odds with the lighthearted tone of other parts of the movie. He didn’t really fit, nor did some of the CGI. I mean, it was cool to see… but it was also pure nightmare fodder for kids. Which brings me back around to some of the branding. They marketed it as a family movie, but I won’t be bringing my kid to it (I nearly did and now I’m glad I didn’t). It’s not just some of the violence & CGI (which are both borderline for what I’d feel appropriate for young kids), but there’s some themes on family that are really, really dark for young kids to take in. They’re mostly done well. There’s no promises that are made by the story that aren’t paid off (sometimes in heartbreaking fashion). The story is tight enough and flows pretty well from scene to scene, with no moments jumping out as not fitting. There’s a few loose ends and some things you just have to make assumptions on (or just sort of ignore as being sequel material or something they didn’t have time to wrap up). But those are minor things. The humor is awesome. There aren’t any jokes that fall flat and it all works organically. The kinds of humor that would naturally come from the ridiculous situation. Once it gets going, the movie is a whole lot of fun. There’s a bit of awkward wording, some lines just don’t make sense in the context of what’s happening in the rest of the movie. It’s either the CGI not matching up to the scenes or editing having changed what happened. They’re small things, though, and easily overlooked with everything else going on. All in all, though, it’s a fun movie. It’s not one I’m going to go see again in theaters, but I will be buying a copy. It’s also, as I said, not one I’ll be showing my son until he’s a bit older. It passes the fun bar, it’s almost on track to match Marvel’s movie franchise, except for that whole darkness at the beginning.